Two personal finance bloggers, with about 80 lac site views between them, present a book that will help you create personalized answers! PV Subramanyam (Subra) is the CEO of Subramoney, a financial blog that hopes to simplify finance and ask the right questions. An accountant by qualification and a lawyer by training, he has spent his time in the trenches of the financial services industry and has conducted over 1,000 training and financial communication sessions across the country for general and specialised audiences. His first book, ‘Retire Rich - Invest Rs. 40 a day, has sold upwards of 150,000 copies so far. 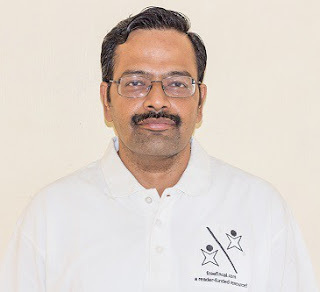 M. Pattabiraman (pattu) is an associate professor at the Indian Institute of Technology, Madras. 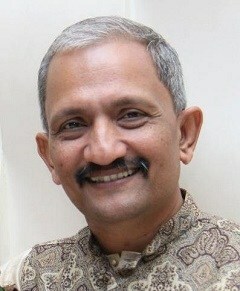 He publishes ‘how-to’ articles (often the solutions for Subra's questions), research and posts open-source calculators on personal finance, mutual funds and stocks on his blog, freefincal.com. · Identify milestones in the journey. This book is a crisp non-technical description of money management and does not contain a single equation! It is meant for beginners and young earners to quickly understand the basics and implement them. The book also caters to experts who will find the sections on mutual fund selection; portfolio construction; and the online calculators useful. Chapters to help you ask the right questions! # Where do you want to go? # What resources do you have? # How much risk can and will you bear? There are 9 online calculators! Use them to create your custom investment solutions and track them! The "best value for money 399 rs" you will ever spend in your life. You will not come across any better no-nonsense authors in personal finance space in India. Totally recommended. The only book you need to get your hands on if you are lost in the financial jungle. Do it immediately. Simple, practical, crisp and precise. The best gift that a young earner can receive.Kudos to the authors. 5.0 out of 5 stars A Must Read. A must read for every beginner , or even for a seasoned investor , who are lost somewhere in the process. Each chapter is so nicely explained with no jagrons , be it related to Insurance , Investment , Taxation or Mutual Funds. And at the end calculators are just an eye opener when you put the real numbers , that makes the end Icing on the cake. 5.0 out of 5 stars This is high quality stuff. No beating around the bush, straight, concise, simple and immensely useful. 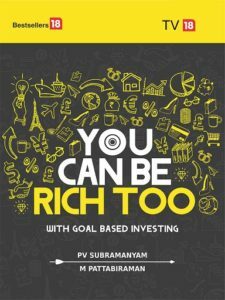 If you read this book and spend some time understanding, exploring and using calculators the authors have made available at goalbasedinvesting.in, you don't need to take services of any financial planner and in all probability you can do better job at your own financial planning than most of the professional financial planners out there in the market. A simple and nice book on investing, this book makes us see, financially where are we now, what is our destination, and how to reach it, the taxation chapter was an eye opener. An ideal gift for earning people. Take your pick! After you read the book, please do leave a review from where you got it from. Thank you. Four free e-books; 100s of open-source tools, and how-to articles to manage your own money! Freefincal.com - Prudent DIY Investing! Do be sure to subscribe to posts via email!